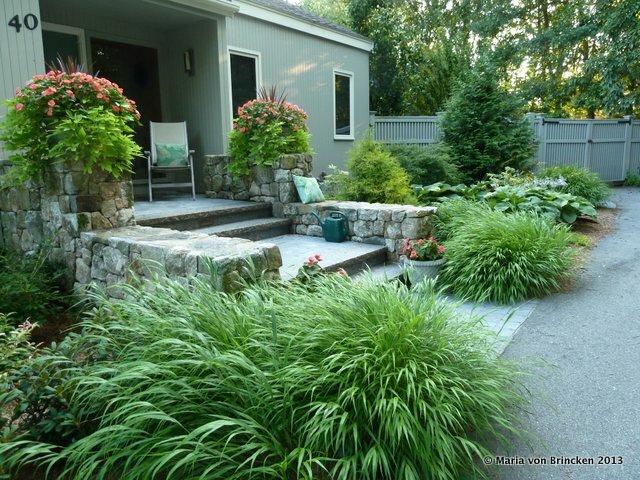 Maria von Brincken, principle of Maria von Brincken Landscape Garden Design, is an award-winning certified designer (APLD and LI) celebrating over 15 years in professional practice. Maria specializes in landscape plans and coaching that creates beautiful spaces and colorful flower gardens designed for you. She offers lectures & workshop programs for the home gardener. Her goal is to stimulate, expand ideas, and techniques that you can use in your landscapes & gardens. Maria offers color slide power point lectures using images from her design and of gardens visited throughout the US and abroad. Garden clubs and conferences—from Fine Gardening Regional Conference, Blythewood, ELA, Master Gardeners to Sudbury Garden Club have offered her lectures and work- shops. Her lectures reflect over 15 years of coaching & design & horticultural success creating beautiful flowering gardens. 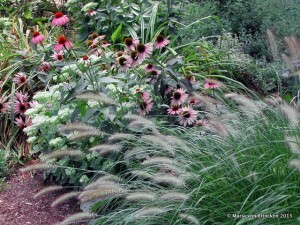 Lecture gives ideas for both the sunny and shady border combinations from spring through fall. 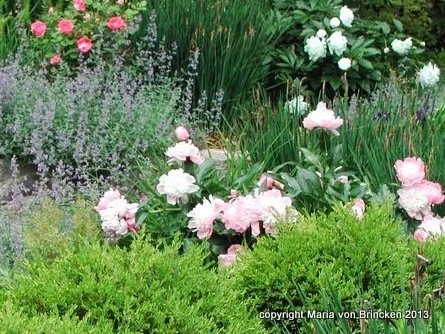 Color theory and texture are introduced as design tools to create your own beautiful gardens. 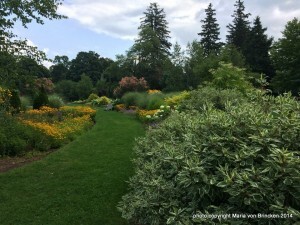 Examples from gardens in New England, the US, and abroad. Explores basic influences–teachers, books, world views, wild environments, and methods that ground the creative process of an earth friendly landscape. Examples of different designs (Traditional, Contemporary, Minimalist, etc.) 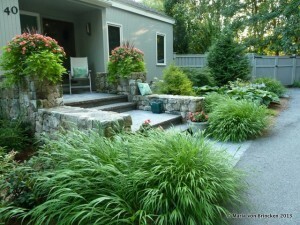 show the beautiful results with ecologically designed gardens. Flowering trees and shrubs distinguish older landscapes from modern ones. While some people plant spring flowering, few plant summer flowering. Many are fragrant, native, and need little care. 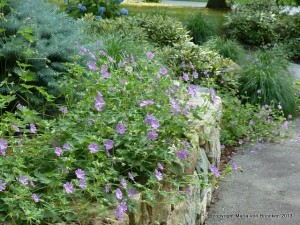 They add beauty and special value to your land- scape. 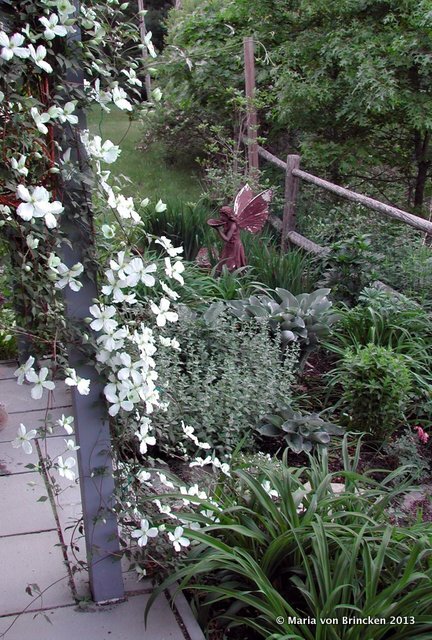 This lecture also includes information about combining native flowering/berrying plants in a shrub border/wildlife corridor to attract birds, butterflies. Highlights ornamental vines– perennial, annual, and edible that add texture, flower, berry, fragrance, and sometimes fruit. Slides show examples of vertical gardening and their structures from historic gardens, today’s gardens, and choice examples of individual plants that grow well in our area. A new section features the recent trend of living “green walls”. Maria’s lectures aim to stimulate and expand ideas and design solutions for the home gardener to use in their own gardens. Techniques that work in All Seasons. Learn how to make winter gardens that delight and inspire. Winter images from Maria’s client’s gardens and public gardens of Tower Hill’s Winter Garden, Mass Hort’s Bressingham Garden, & Decordova Museum inspire. 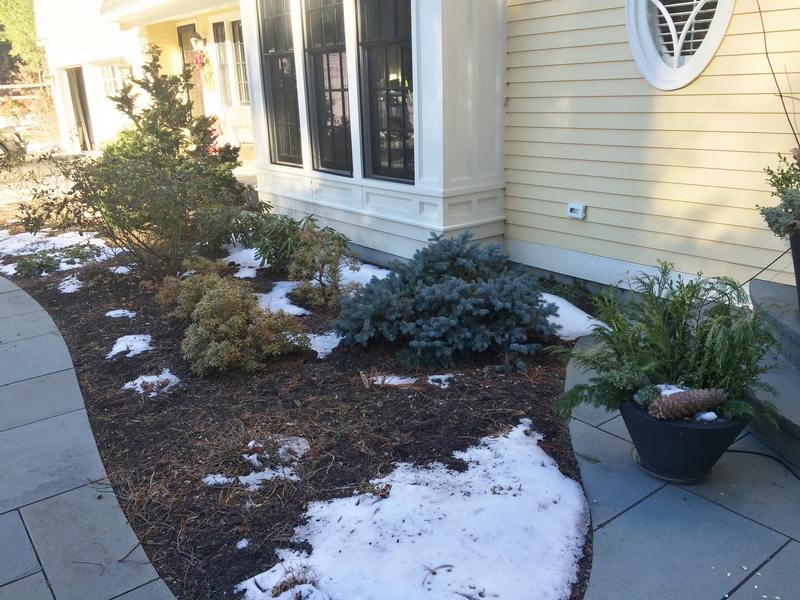 Diagrams of the winter plantings, and the shapes of drifts and masses. New 2017. 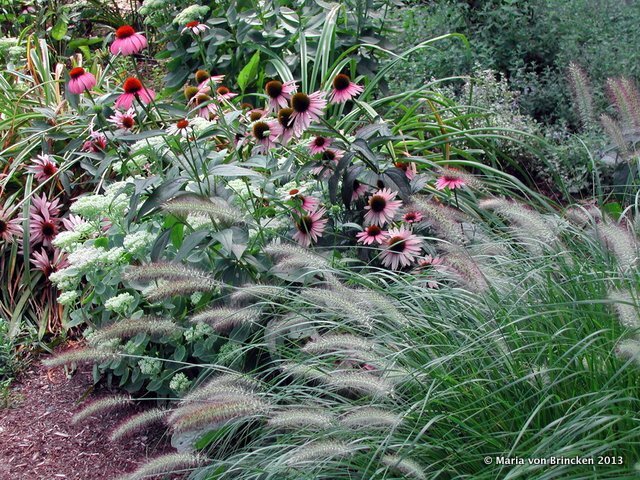 Learn how to create both sunny and shady border combinations from spring through fall. Color theory and texture are introduced as design tools to create your own beautiful winning combinations. Participants will create a personal garden color palette and begin the process to map out bloom succession combinations from spring to fall. All fees plus travel expenses (mileage, lodging, meals), handout costs (based on number of projected attendees) are payable on lecture date. References are available. Small Group $450, Conferences & Symposium $950. All fees plus travel expenses (mileage, lodging, meals), handout costs (based on number of projected attendees) are payable on lecture date.